Mental Health Wellbeing with Dr. Fergus Heffernan. 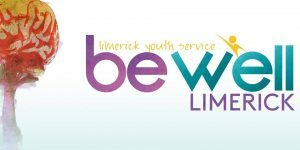 Dr. Fergal Heffernan, a leading voice in mental health & wellbeing talks about his experience of the mental health as part of Be Well Limerick Week. Author and educationalist, Dr. Heffernan has years of experience in working with and supporting people with mental health difficulties and is an avid campaigner in promoting positive mental health & challenging ‘old stereotypes & beliefs’ around mental health. This event is free and suitable adults and young people but due to numbers those interested in attending this talk must purchase a ticket via eventbrite.